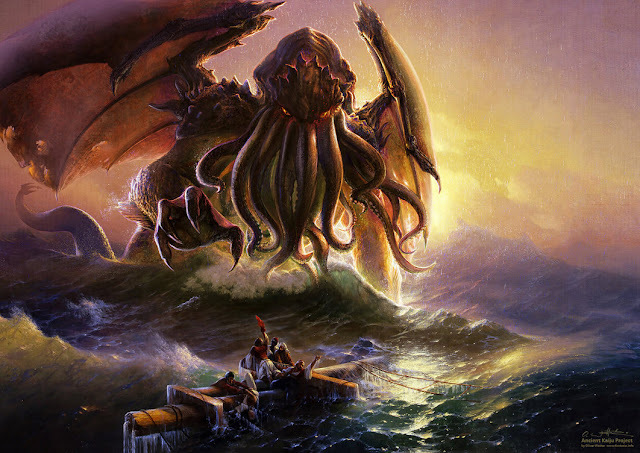 Inspired by the deep and the entity that resides there. 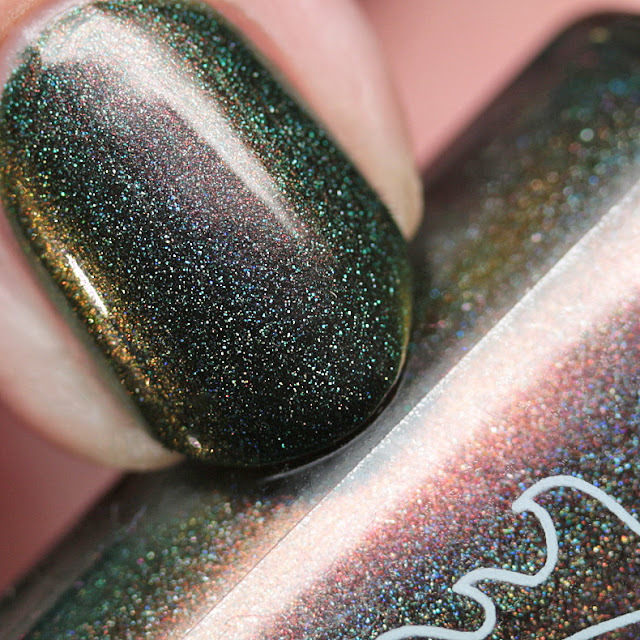 A deep moss green linear holographic filled with multichrome shifts of red to gold to green and in some lights, purple. 2 coats for an opaque look. 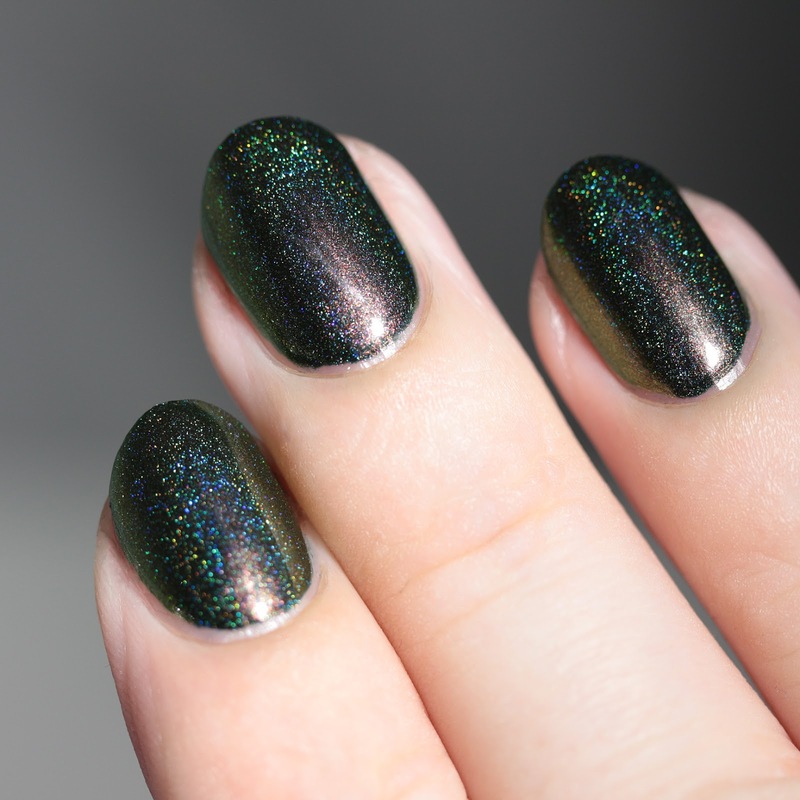 Hint: purple comes out in indirect light when the holo flame isn't too present. 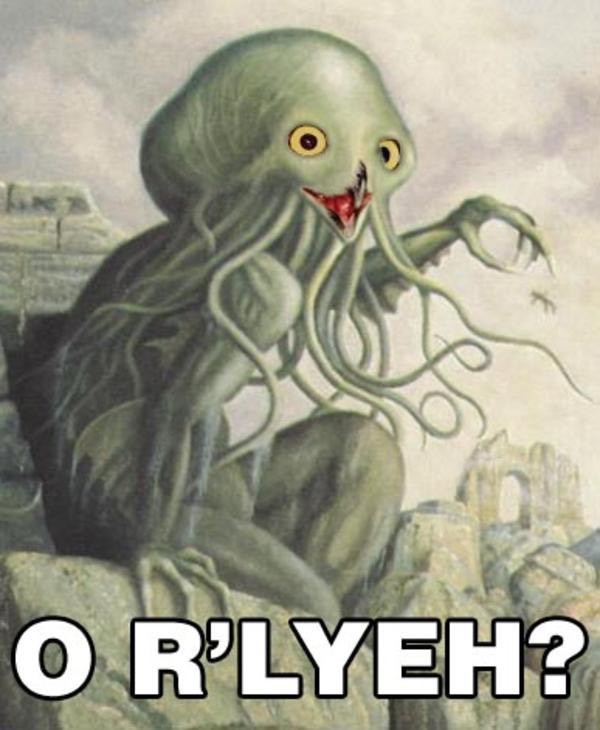 And they name comes from the hilarious meme combining the sea monster with the O Rly meme owl. Never not funny as far as I'm concerned. 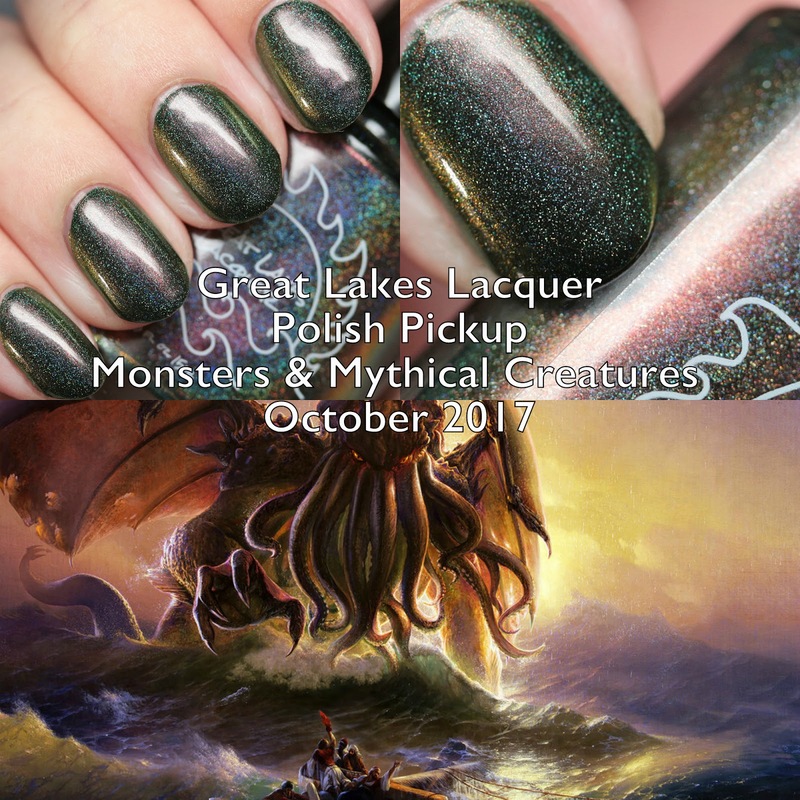 Great Lakes Lacquer O'Rlyeh? is a forest green linear holo multichrome with shimmer that shifts from red to green. It covers in one or two thin coats and has a perfect, quick-drying formula. 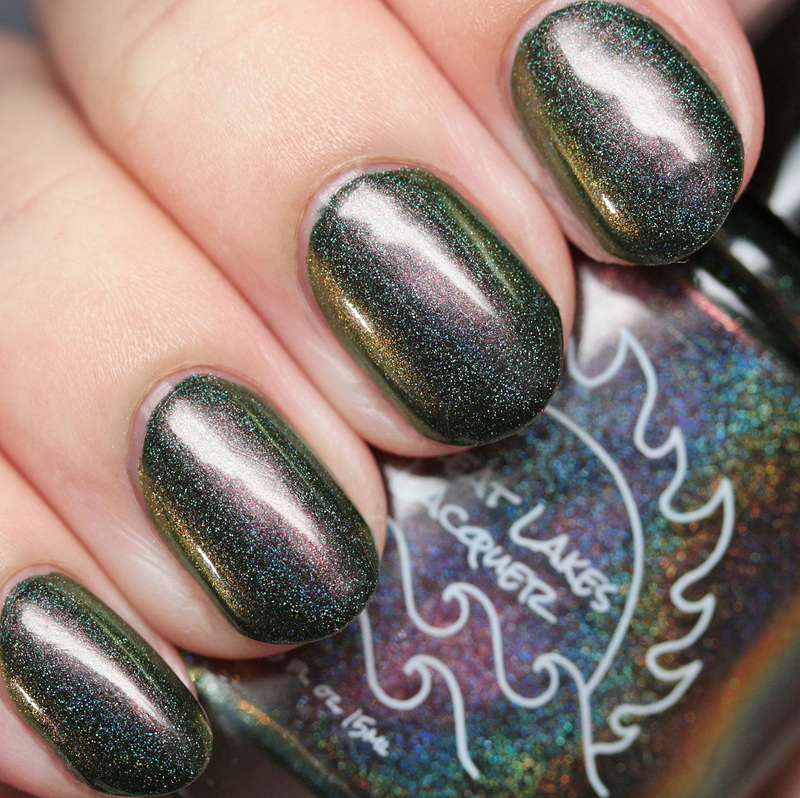 Mariah is seriously on fire with these multichrome holos! 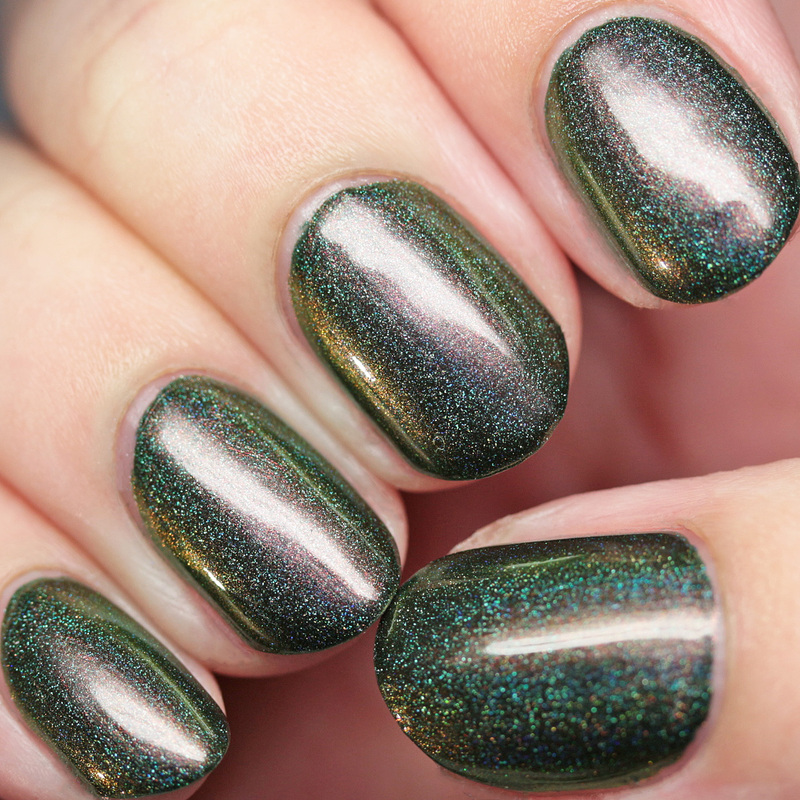 By paring different base colors with the shimmer she always makes them look new and interesting. 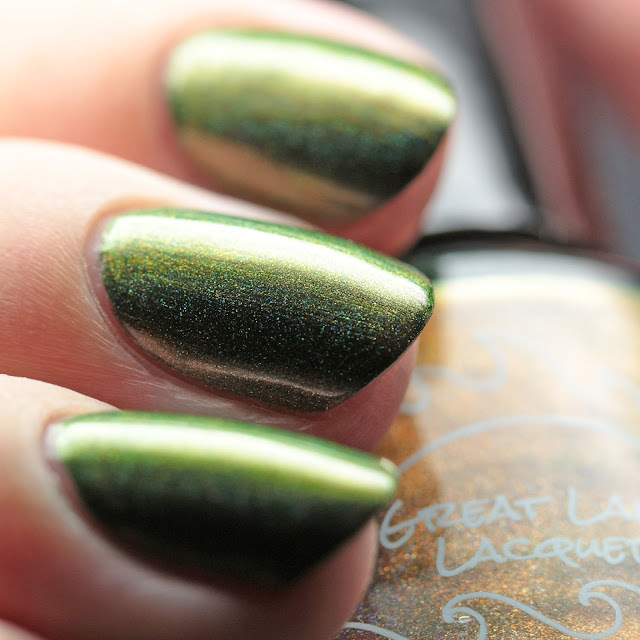 Great Lakes Lacquer O'Rlyeh? will be available with the launch of the Polish Pickup October 2017 on October 6 at 10AM CDT. Be there or be square!